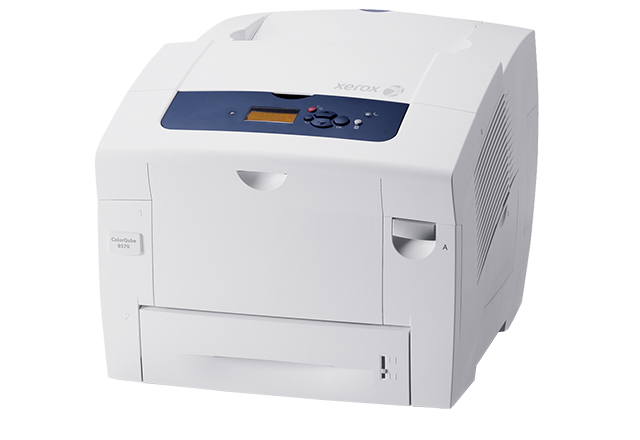 8570_DN Xerox 8570_DN Printer - Refurbished with 3 months Return To Base Warranty & Working Consumables. The Xerox 8570_DN Printer is as good as buying new as all worn parts are replaced. This saves you up to 50% off the price of a brand new printer. We are confident that you will be 100% satisfied with your Xerox 8570_DN Printer and are here to help with any support questions you may have. The Manufacturers part number/product code for this item is: 8570_DN. Continuing the Xerox-exclusive tradition of advanced cartridge-free solid ink, the ColorQube 8570 color printer is a powerful, no-fuss and waste-conscious printing solution that’s simple and highly productive with the advantage of superior color output. - Less waste, less impact. Packaging for the printer and solid ink sticks helps you create up to 90% less waste, lower Life Cycle energy demand and a smaller carbon footprint than comparable laser printers. - EarthSmart print driver settings. Easy-to-use print-driver gauge allows you to choose the most environmentally conscious print settings. - Optimize energy usage. Intelligent Ready technology learns your workgroup’s usage patterns and moves to low-power mode when you’re least likely to use it. - Bundled GreenPrint software. Use the standard GreenPrint tool to help you print only the pages you want for reduced paper and ink usage. - ENERGY STAR® qualified. The ColorQube 8570 meets the stringent ENERGY STAR requirements for energy usage (DN and DT configurations only). - Fast print speed. Get your jobs out quickly – as quick as 40 ppm color and black-and-white. - Incredible detail and halftones. 2400 FinePoint™ print resolution ensures exceptional print quality. - Always superior color. Solid ink gives your documents rich, vibrant colors on all media, including recycled paper, with no degradation over time. - Wide media range. Print on everything from plain paper to labels, envelopes, card stock, business cards and glossy media. - The colors you expect. PANTONE® approved solid-color simulations and Xerox color correction technology deliver results that always match your expectations. - More printing for longer. A high monthly duty cycle of up to 85,000 images means you’ll have a reliable color printer for many years to come. - Accurate results, every time. True Adobe® PostScript® 3™ and PCL 5c emulation print languages ensure your jobs are consistently accurate. - Print when you’re ready. A first-page-out-time as fast as 5 seconds means in most cases your print job’s ready by the time you walk to the printer. - No time lost for color. The ColorQube 8570 prints black-and-white and color at the same fast speed. - Intuitive color correction. The Color By Words feature lets you select desired color modifications from a simple drop-down list. - Easy expandability. With the ColorQube 8570 it’s easy to add memory for more time-saving features and expand paper capacity to 2,200 sheets. - Small footprint. The ColorQube 8570 fits almost anywhere in your work space, whether on your desk or in a central location. - Total flexibility. Get full compatibility with Windows, Mac and Linux environments. 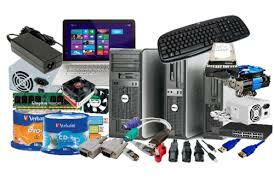 - Save shipping costs and storage space. Compared to toner, solid ink’s smaller packaging costs less to ship and is small enough to fit in a desk drawer.